Cheers and hoppy New Year! 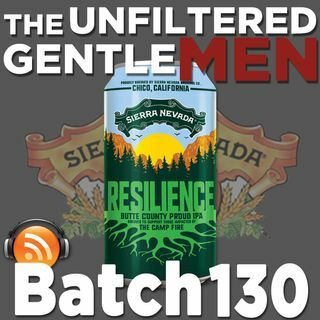 We're kicking off the new year drinking for a cause with Sierra Nevada's Resilience Butte County Proud IPA. It's a simple yet classic style IPA with some tasty hop additions. Greg talks about donating the Drink Local proceeds to California Wildfire charities, the guys talk about the horrible Dry January movement and Bird Box Challenge, and Scott talks about his wild New Years party. Andrew from the Two Minute Beer Review podcast stops in to counter ... Más informaciones our 30-second beer review. In Sports News: Tom Brady loses money, the Bears Cody Parkey misses a big kick, Timberwolves fire their coach after a win, a mugger targets a UFC fighter, and more. In Booze News: Dogfish Head invites you to join Januquenchy, Trumer Brewery donates big money to Camp Fire Relief Fund, Benchmark Brewing can stay in their headquarters, Utah changes their DUI laws, a new definition for craft beer, and more! Follow our Beer Babe of the Week is on Instagram @beer_tart!